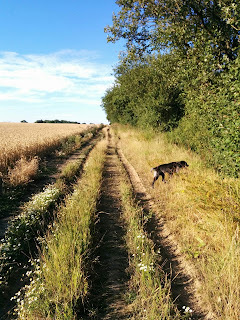 It’s fair to say that I’ve never enjoyed “training” and in fact, I do very, very little of it - I often struggle to go running during the working week and when I do go out, my goal is usually just measured in miles. Tempo runs, hill repeats, fartlek...they're all on that list of things I should be doing but don't, like stretching and strength work. To be honest my running life is really just about constantly feeling guilty about not going for a run and lurching miraculously from race to race. Having just gone through my spreadsheet where I record the runs I do manage, I realise I do even less than I had thought. From January this year, I see that between Monday and Friday, although some weeks I ran three or four times, on most weeks I ran much less or not at all. On average I clocked up just one run, completing an average distance of 5 miles. When you think that my weekly average since January is 38 mpw, with some weeks at zero miles and my three biggest weeks at over 100 miles, you can see how inconsistent my training is! As a comparison, last year my Monday to Friday average was 1.4 runs, with an average distance of 10 miles over the 5 days, and a weekly average of 32 mpw, with only one week at over 100 miles. Anyway, enough of the stats. This last couple of weeks things have got even worse. Not only have I struggled during the week, I also totally lost interest in running on Saturday and Sunday. Since the emotional high of my fantastic weekend at the Saffron Trail ultra, I ran once in two weeks, and I even missed a marathon I had scheduled. I just could not be bothered. I ate copious amounts of junk food too - not sure I've ever eaten so much chocolate in a week, and I felt lethargic and miserable. As much as I told myself, and my husband, and twitter, that I really had to go for a run, I just couldn’t. I couldn’t drag myself out of bed in the morning, and when I got home from work I was welded to the sofa. “But I must go for a run, I must go for a run”, I kept telling myself and I thought about how I was failing. Yes, FAILURE. It’s probably the thing that scares me the most. All in all, I was going through a period of what I think we generally refer to as a total loss of mojo. I’d finish off every day adjusting my spreadsheet to record another missed run, feeling guilty and perplexed. Was I going to ever run again? Did I care if I wasn’t? I’ve just booked to have a big tattoo done, to symbolise my running...should I cancel it? I have a 100km booked on 15th August that I've been looking forward to all year. Would I even turn up, and if I did, would I crash and burn half way through as a result of my total lack of mileage? I wasn't sure what was going on in my head but I found it very confusing. I got lots of support and some helpful advice from twitter though. The best advice was to just let it go - stop worrying, stop feeling guilty, stop looking at the training plan. If it's meant to be, one day I’d just want to go for a run. There was also the advice to just go for a walk – find a great trail and get outside. 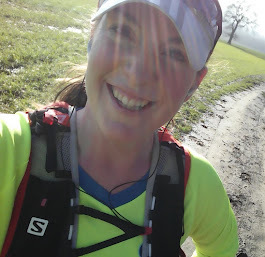 So, on Saturday, the day I DNS’ed my marathon, I decided to stop thinking about running. I let go of the guilt, and accepted that I didn’t want to run, and that that was OK. No pressure. We went to a beer festival instead and on Sunday, I took the dog for a walk. Didn’t wear my trainers, just my Merrell sandals. It was a beautiful sunny afternoon and I decided to head for a footpath sign that I’d seen recently while in the car, and follow it to wherever it went. Turns out, it led to a beautiful cross country trail. 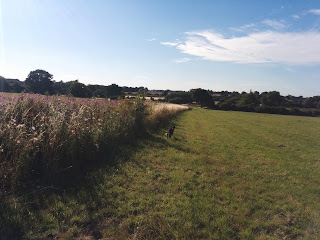 We crossed crop and sheep fields, meadows and walked through shady woodland – all in the space of just a few miles - and it really reminded me how very lovely it is to be outside. Chewie was bounding around and clearly enjoying himself…after a while I decided to join him as he ran. We ran quite a bit actually. According to my Fitbit, my heart rate was elevated enough for me to think I probably ran for about 20 minutes. In my sandals, my denim shorts and t-shirt…no expectations, no blisters to worry about, no lycra to feel self-conscious in, just running for the love of the feeling of it. Relaxed, the sun shining, my heart pounding, the rush of chemicals through my brain that said, actually this is amazing. Why doesn’t every one get out and do this? The freedom. The fun of it! We didn’t see another soul and I was so happy. On Monday night after work, after dinner, we were sat on the sofa again, watching TV again. I decided to go and get changed. Instead of putting on the usual lounging around clothes, I opened one of my many drawers stuffed with running kit. Then I found some running socks. I pulled on my trainers. Without having thought about it at all, just concentrating on the easy steps of putting on my gear, I found myself standing by an open front door at 10.30pm. I still didn’t particularly want to go for a dull pavement run, but it just felt like the right thing to do. I was all ready so might as well go out and see what happened - with a nudge in the back from Francis, I was gone. I did 6.5 miles, and I went quickly. Faster (for the first few miles at least) than I’ve run in a long time. As I hadn't planned to go out, I hadn't charged up my watch, so don't know how what my pace was, but I was so pleased with myself for having done it, and felt so happy that my legs hadn’t turned to mush after a fortnight off. It was exhilarating being out in the dark. Yesterday, as soon as I got home from work, I went out again. This time, I decided to take advantage of the day light, and I took another new trail I’d discovered on the viewranger app, which started just a mile from the house. It linked up with the path I’d found on Sunday and I was out again in the fields asking myself why on earth I’ve put up with 10pm pavement runs for so long when the beautiful countryside is right on my doorstep! It was a beautiful evening and I loved it…totally motivating. So there we go. It seems I’m back! We're only on Wednesday and I've already done more than twice my Monday to Friday average mileage, and am planning to go out again this evening. Looking forward to it even. So what was the trick? How did I rediscover my mojo? I don't really know to be honest. The advice that resonated most was that it was ok if I didn't want to run. That I could allow myself not to, that I could choose. I think I'm starting to realise there's been quite a lot of pressure over the last few months - there was so much scrutiny over my runs at TP100 and GUCR that I somehow feel I have to keep upping my game in some way. But I don't. I have nothing to prove. I must stop feeling permanently guilty and just remember why I love to run. I run because if I didn’t, I’d be sluggish and glum and spend too much time on the couch. I run for the finish line and to savor the trip along the way."